Metal Sleeve | Endo Manufacturing Co., Ltd.
Endo's Metal Sleeve business uses metal plasticity processing technology that we've developed on our own. The high level of technology developed contributes to the enhancement of the products which requires precise quality. Manufacturing capability enabling mass production with high quality has been established. That quality and technology has attracted attention from a variety of industries and has the great possibilities. Endo's Metal Sleeve business started from the progress of our metal plasticity processing technology.The metal sleeve that we've developed through long term research makes possible seamless metal processing to a micro-thinness of approximately 10μ and is essential as functional parts for high-performance OA equipment. for which we are now gaining a large market share. By extending our coverage to a variety of high growth areas including the ecology, medical, and other high tech industries, we continue to provide unmistakable value using our unique proprietary technology. 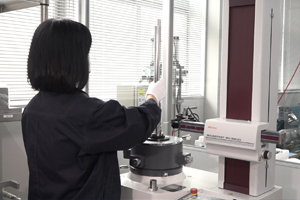 Metal sleeve is Endo Manufacturing's own ultra-thin processing technology, enabling ultra-thinness and high precision that was not previously possible. It is attracting a great deal of attention as a technology that enables the processing of a variety of materials. We recently accomplished a reduction in thinness from 30μm to 10μm. With the patents registered in Japan, USA, Germany, France and England, we are now expecting to develop more business world-wide. The manufacturing of metal tubes normally involves welding, extracting and cutting. 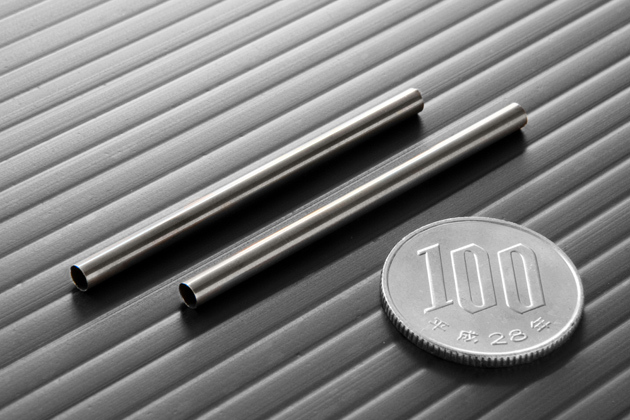 However, by our proprietary production method for metal sleeves, combining warm deep drawing and special rolling plasticity processing, we mass produce high precision ultra-thin pipes, previously deemed impossible with conventional technology. We are able to produce metal sleeves in a variety of materials, including stainless steel, nickel alloy, clad material and titanium. 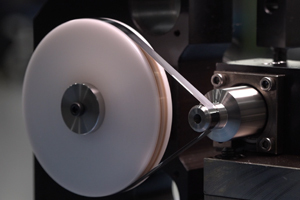 A manufacturing method combining warm deep drawing and special rolling plasticity processing. Patents are registered in Japan, America, Germany, France and the United Kingdom. By being able to do ultra-thin processing to a wall thickness of less than 40μm, we have made it possible to bend a sleeve like a resin film. Excellent heat resistance, corrosion resistance, wear resistance, and rigidity. Achieves processing of wall thickness of less than 100μm that would be very hard to achieve with other production methods. Can be used as thin seamless pipe featuring high temperature strength and corrosion resistance. Seamless pipe for small diameter, thin applications. Minimum thickness of t15μm and under consideration for electrical equipment, medical equipment and automobile parts. 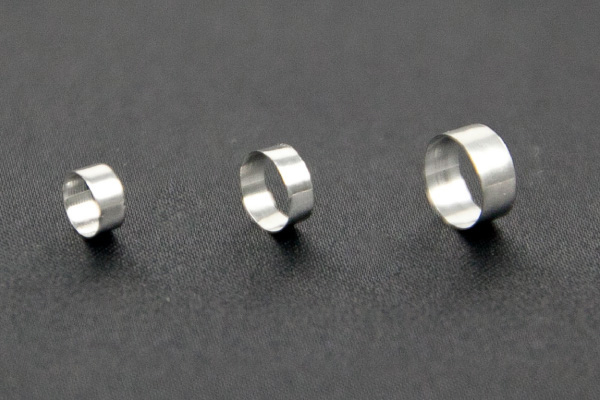 Seamless ring for small diameter, thin applications. Minimum thickness of t15μm and under consideration for medical equipment parts. Excellent heat resistance and corrosion resitance. Additionally, by applying a formula to improve fatigue, it exhibits excellent characterisitics as a base material for drive transmission belt. 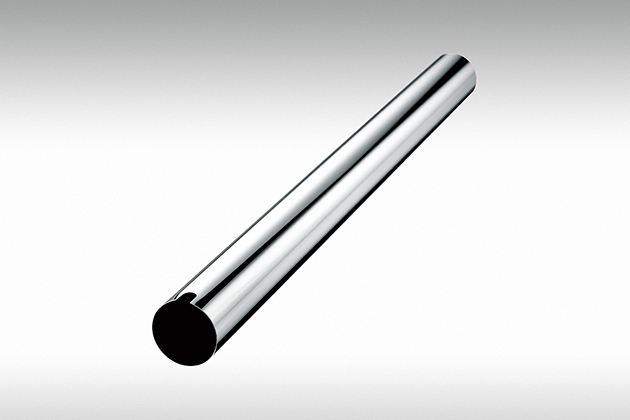 Excellent corrosion resistance since there is no welded area on the bottom or cylindrical part. Exhibits excellent characteristics, even in harsh usage environments. Has a recrord of being under consideration as a case for batteries. 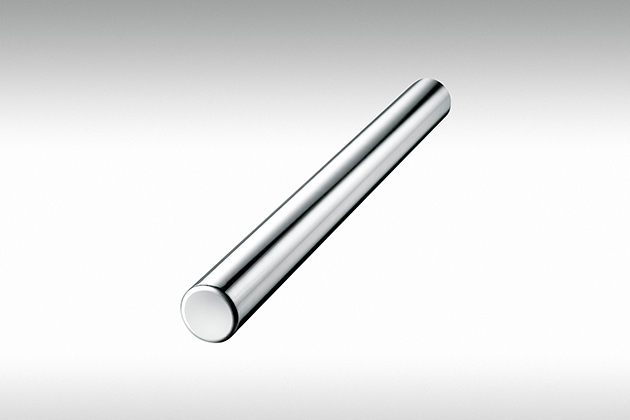 Inconel, Monel, Permalloy, Hastelloy etc. Note: Materials can be chosen based on characteristics such as strength, corrosion resistance, thermal conductivity, and permeability. At Endo Manufacturing we utilize the ultra-thin seamless pipe manufacturing technology we developed in the OA equipment sector to develop new applications for medical parts, automobile parts, and the new energy-related sector. OA Parts - achieved drastic reduction in electricity consumption of products by changing the material of fusing rollers/heating rollers. Battery Parts - as a case fpr lithium batteries/fuel cells, succeeded in making them lighter and extending their life. 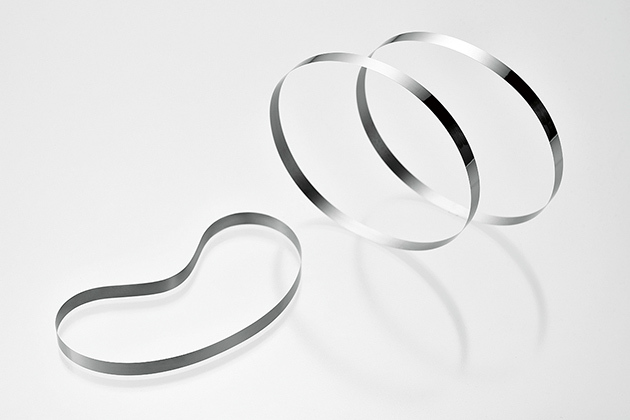 Medical Parts - stainless steel and titanium products under consideration as endoscope/stent parts. Motor - successfully made lighter and stabilized magnetism of motor by utilizing the features of thin seamless sleeves. Electronic Parts - under consideration as a connector and magnetic shield part. Optical Parts - under consideration as cylindrical reflectors. In addition to these, also under consideration as heat pipes, bellows base materials and IH parts. We develop and provide high performance metal sleeves based on the new requirements of customers. A fusing roller for printers is an example of the practical application of a metal sleeve. We switched this previously resin made part to a metal sleeve, which possesses metal's distinct characteristics of high strength and thermal conductivity. In putting this into practical use, we not only did product development but also design and manufacture the equipment, realizing a formidable cost-competitiveness. We also have many other new development projects, including battery cases, motor covers, seamless belts, and seamless rings. We believe we can offer new added value, even in sectors where previously our products had not been used. An example of the various testing and measurement equipment we possess that is necessary to promote the development of metal sleeves. Cylindrical measurement machine : measures dimensional precision of metal sleeves in three dimensions. Rotary fatigue test : measures the fatigue strength of metal sleeves by our own test method. 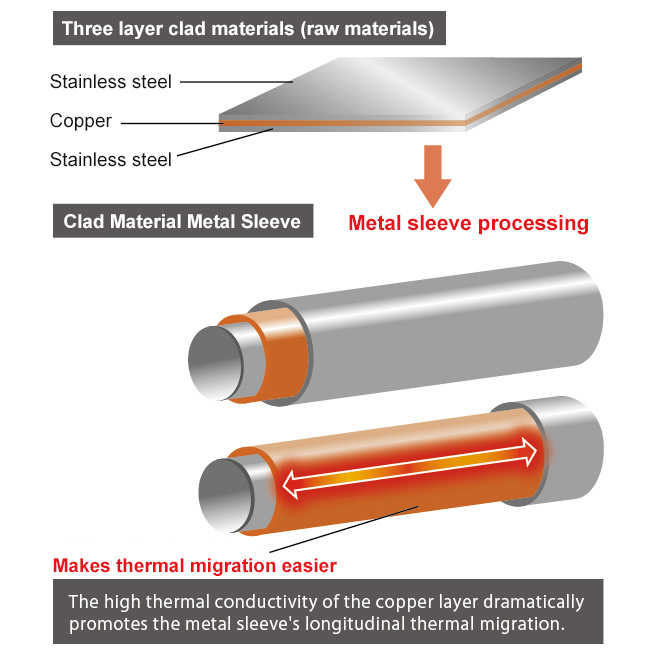 Based upon our proprietary processing technology and by combining a variety of materials, the 'high thermal conductivity metal sleeve' developed by Endo Manufacturing has thermal conductivity properties that far exceed that of previous seamless pipes and has a diverse range of applications. Here we introduce typical examples of such applications. Utilizing metal sleeve technology, we process different metals pressure welded to form clad materials, into ultra thin seamless pipes. For example, by processing a three layer material such as 'stainless steel, copper, stainless steel' it is possible to produce an ultra-thin seamless pipe possessing both the strength of stainless steel and the thermal conductivity of steel. Even when comparing with seamless pipes made from other materials, it possesses far higher thermal conductivity. In accordance with the application, we join a metal layer to the surface of a thin seamless pipe processed by metal sleeve technology. 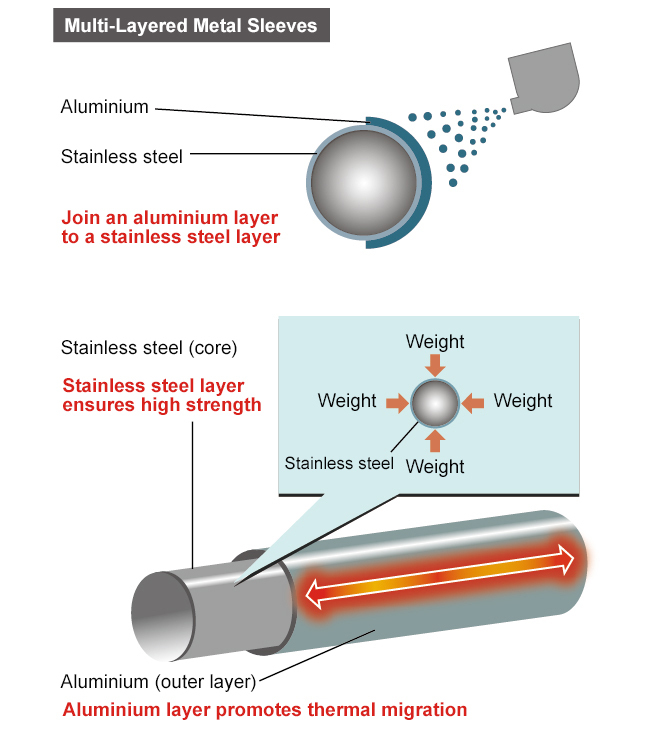 For example, by joining a layer of aluminium, which has high thermal conductivity, to a high strength stainless steel ultra-thin seamless pipe, it is possible to produce a seamless pipe possessing both the strength of stainless steel and the thermal conductivity of aluminium. 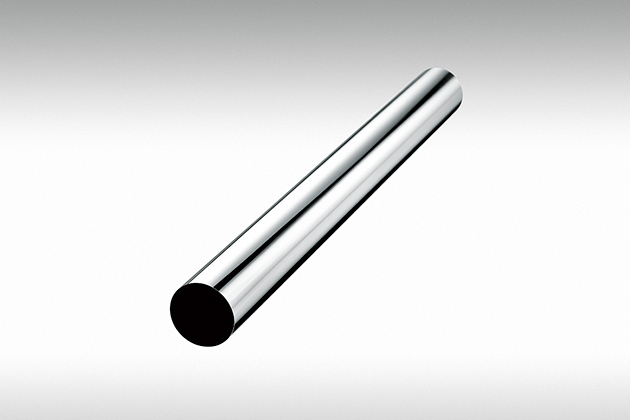 An aluminium layer supplements thermal conductivity to a stainless steel only thin seamless pipe.Depending on the particular features of a metal to be joined to the surface, it is possible to add its characteristics such as corrosion resistance and permeability.